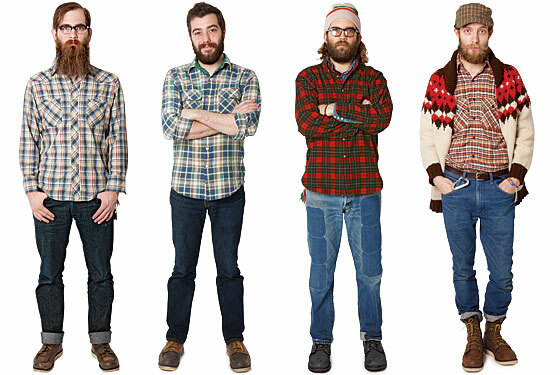 Ten places to get heavy denim, vintage flannel, and well-tailored henleys. Kris Payne, 26, Landscape Photographer. Pastimes: fishing, homebrewing. Kyle Hackett, 28, Menswear Designer. Pastimes: fixing cars and bikes. Jason Andrews, 36, Artist, D.J. Pastimes: making own Kombucha tea, motorcycling. Simon Howell, 37, Photographer. Pastimes: woodworking, cabinetry, surfing.